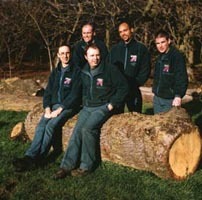 The Countryside Service promotes nature conservation and enjoyment of the natural environment in and around Oxford. A small team of 5 rangers manage 27 nature parks/reservesincluding a large country park and several Sites of Special Scientific Interest which encompass a wide range of habitats and landscapes. All of these places are open to the public and most have unrestricted access. The Service is working with partners to protect wildlife and increase biodiversity across the whole city area. We are focussing work where it will be most effective. The work includes advising practical help to landowners, commissioning wildlife surveys, and helping community groups look after their local wildlife. Volunteers play a vital role in supporting the work of the Countryside Service. We offer opportunities for people to become involved in helping to care for the countryside, in whatever way they feel able. If you are interested in practical nature conservation and have some time to spare or if you are looking for work experience, contact us.